The other morning Guida and Rana spent some nice quiet time together. Just as an FYI, when the girls do this, they aren’t locked together and the third elephant isn’t locked somewhere else. There are simply times when they go in their own direction, and it’s not always together. Guida and Rana spent a nice amount of time together, napping, smelling, touching and scratching. Since Maia is often more interactive with Rana when the three are together, it was nice that Guida and Rana had their own time. And of course, Rana was a total sweetie, waiting for Guida when she was ready to go. 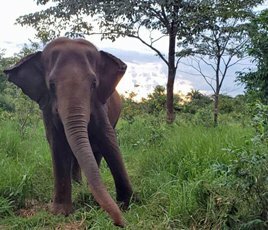 Even though Maia and Guida haven’t always been 100% receptive with Rana, she has remained open to their friendship. Rana is doing a very good job at adjusting to their desires and mood, and it is helping their relationship slowly grow. Watching these vignettes is so much more soothing than watching what is going on in the rest of the world. Oh my god, this is truly wonderful to see. When Rana stops and looks back to see if Guida is coming is heart melting, even more so as Miss Guida followed RanaBug. Lov lov love this post. It has taken time for Guida and Maia to adjust to Rana and I believe they have become friends! 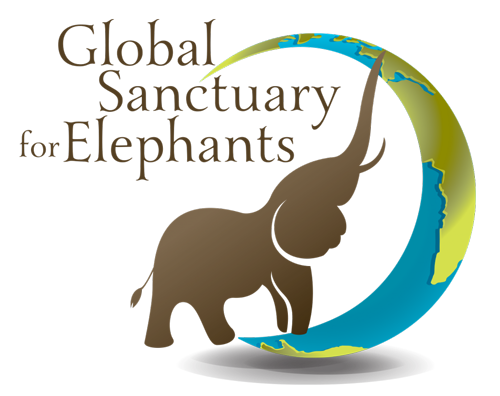 I wished I worked at the Global Sanctuary!! I could see and feel love 24 hours a day! !